After playing through the first chapter of the game, I was immediately impressed. 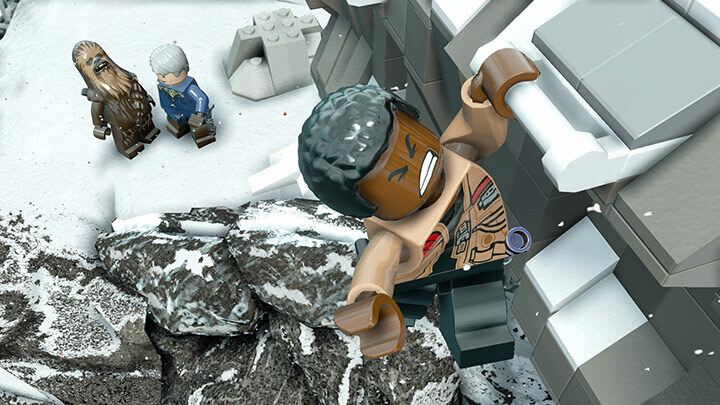 I was surprised to see how well the LEGO game followed the storyline of the Star Wars movie – The Force Awakens. I was captivated in the game, and felt like I was living the movie one chapter at a time. The game provides exact dialogue from the movie with a few twists from voice actors that sound exactly like the stars in the real movie. It was a fun experience to point out which objectives/cutscenes were directly from the movie, and which ones were new. The first chapter introduced you to the major key instructions to the game. Multi-Build systems were probably my favourite. You must break objects all around the level to create parts. By holding down the ‘O’ button Rey will start building a platform/device that will be used in the level. Break that again, and she will build something else. During these Multi-Builds the game also introduced you to the characters, and their abilities. After Rey builds a system, you must use the correct character to actually use it! A lot of the times it will be BB-8 who has the ability to fix technology/electrical problems throughout the game. I started to get in the habit of exclusively using Rey to play since she had the best smashing abilities. I was able to get through the chapters faster by doing this. I found it was the easiest way to speed-run the first half the game when most of your character switches are between Rey and BB-8. Rey was definitely the inventor/creator of the group who took charge. BB-8 took care of electrical, Finn had access to the First-Order computers, Chewbacca pushed the heavy objects around, and Han Solo was.. Well, HAN SOLO! This game is definitely geared towards a younger audience. However, there were many objectives that got me completely stuck. I was breaking all the objects around me, jumping up and down, shaking my lego hands in the air – I was getting frustrated. It was in that moment, where I just needed the force with me. Unfortunately Rey doesn’t have the force at the beginning, so you’re stuck running around. She does have the ability to jump and grab onto ledges if they are in reach. This solved a lot of problems when you couldn’t figure out what to do. 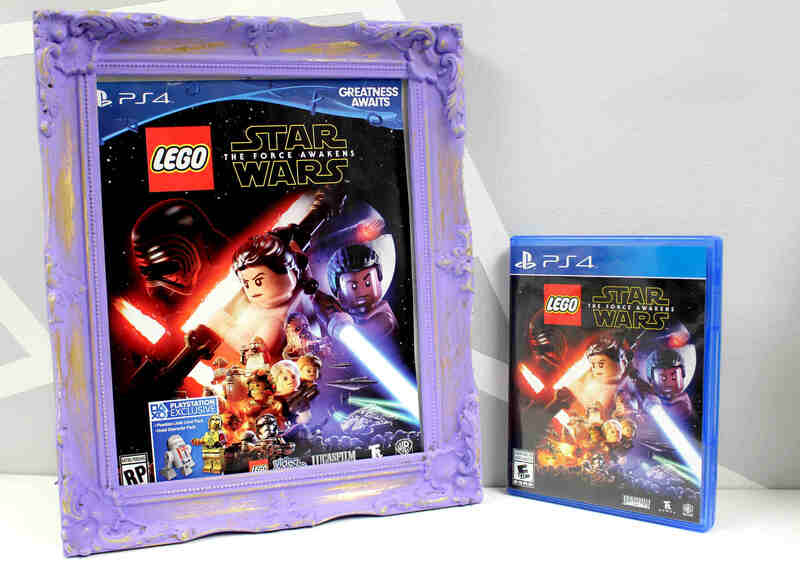 LEGO The Force Awakens is jam packed with creative puzzles, and hidden mini-games that make every chapter that much more exciting. I found a lot of these mini-games while roaming around during difficult objective points. One of my favourite mini-games was the BB-8 basketball and soccer. To play, you had to break a bunch of parts around the objective to create a basketball or soccer net. Using BB-8 as a ball you can slam dunk him, and win a mini kit which are collectible objects throughout the whole game. Once you get back on track, and complete an objective or chapter you will be introduced to a new cutscene. I absolutely loved all the cutscenes. Some of them were straight forward and just a replica of the movie, but they did add a few twists to stick with the typical LEGO humour. For example Han Solo was supposed to hand Rey his pistol, but instead accidentally handed her a chocolate chip cookie that was hidden away in his vest.